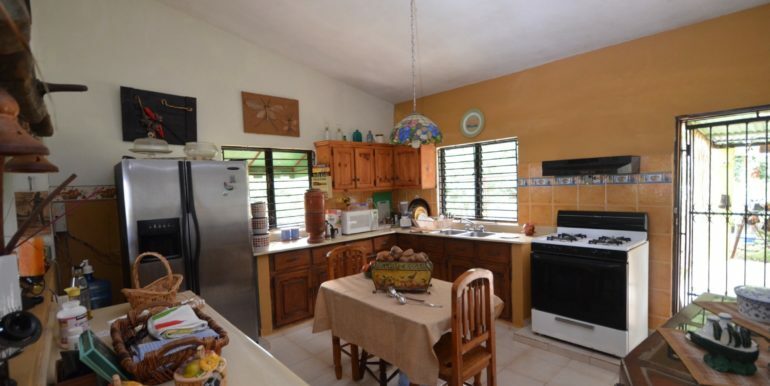 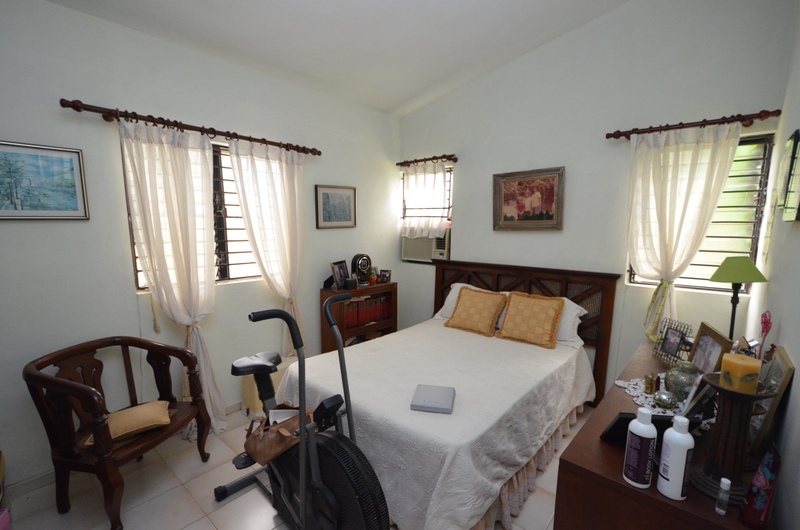 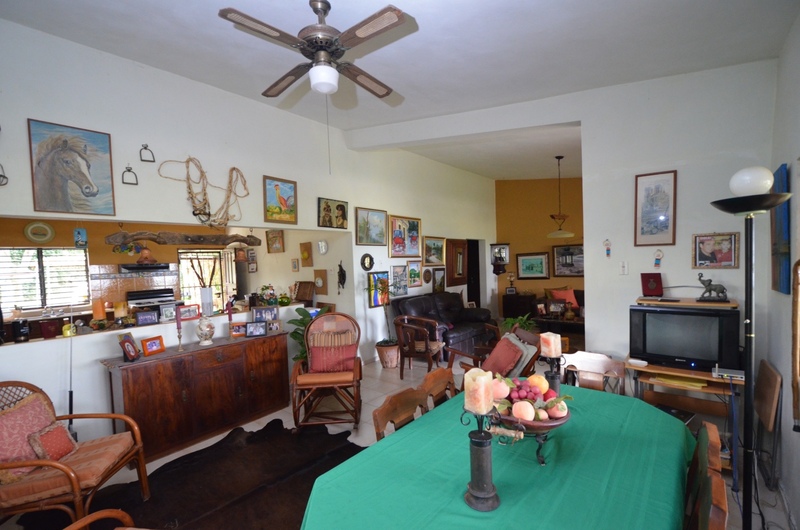 Living in the countryside has many benefits, and this 3 bedroom, 2 bathroom house offers just that and more. 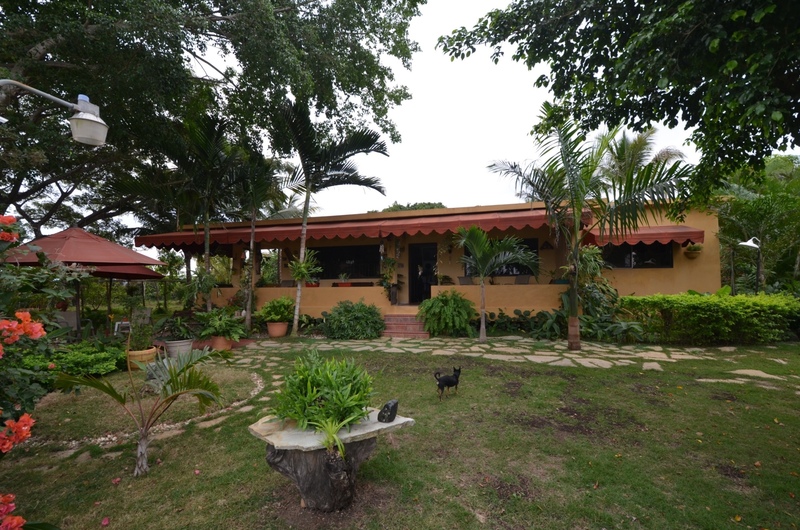 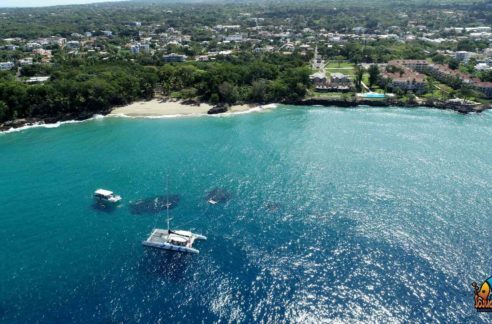 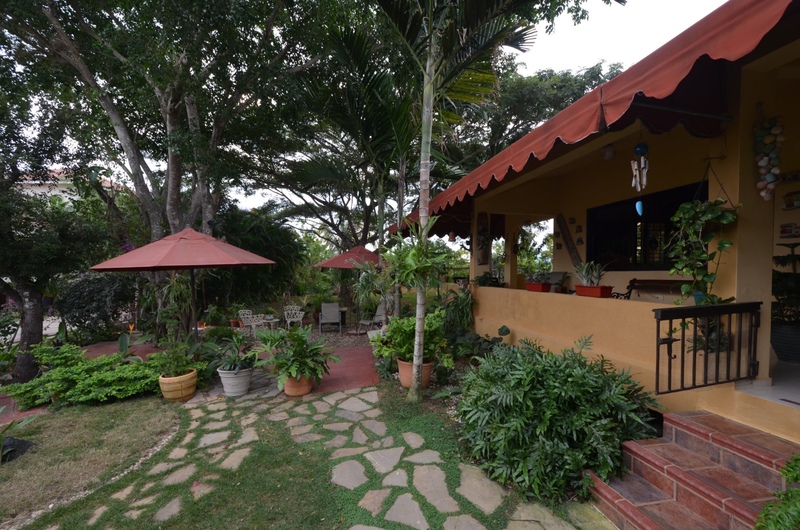 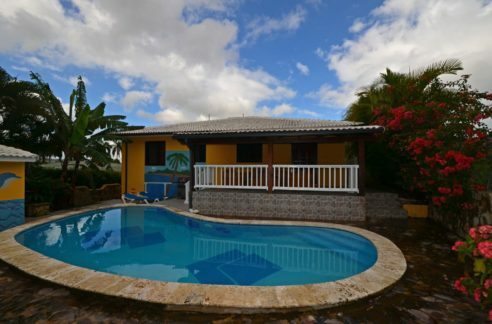 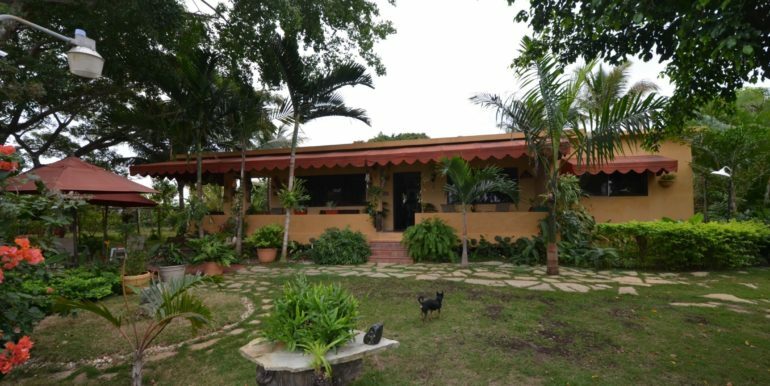 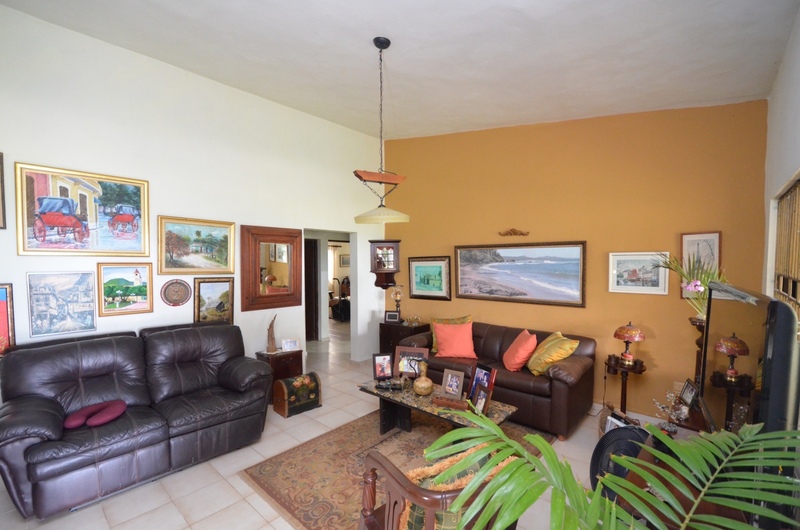 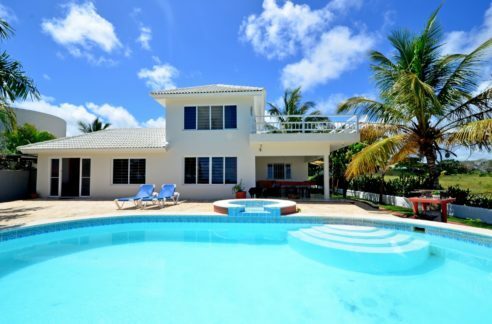 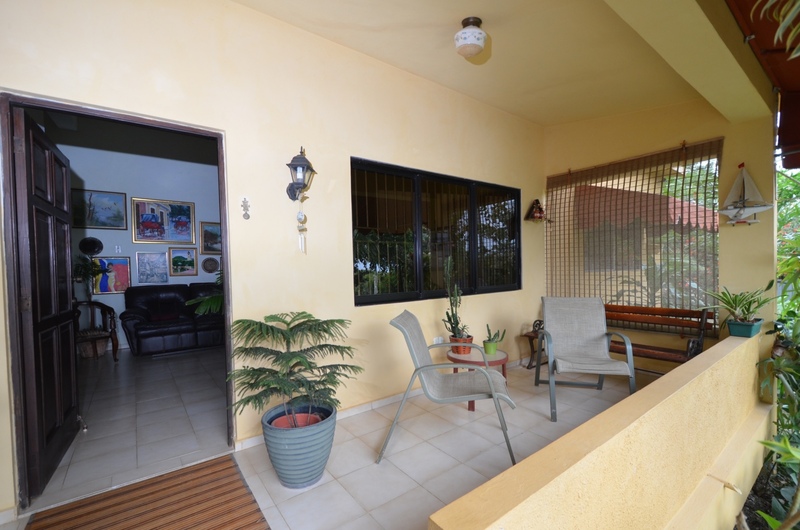 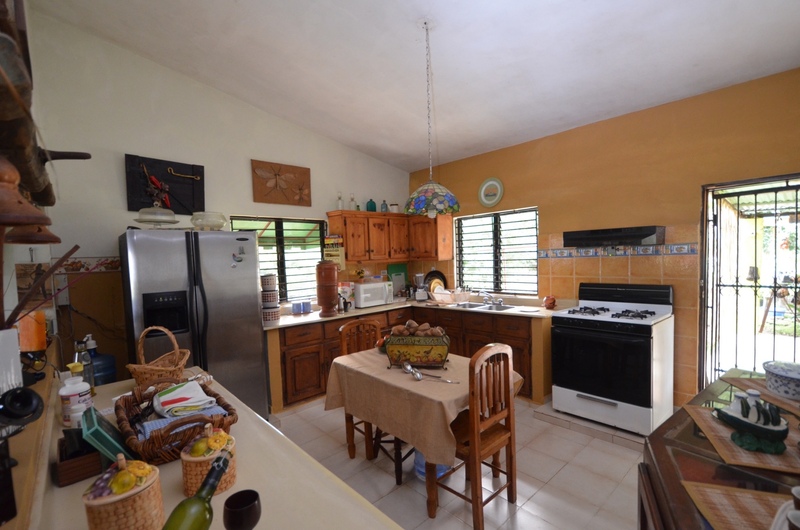 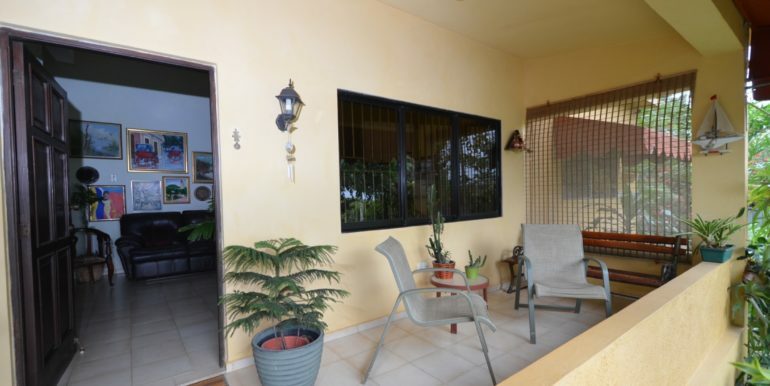 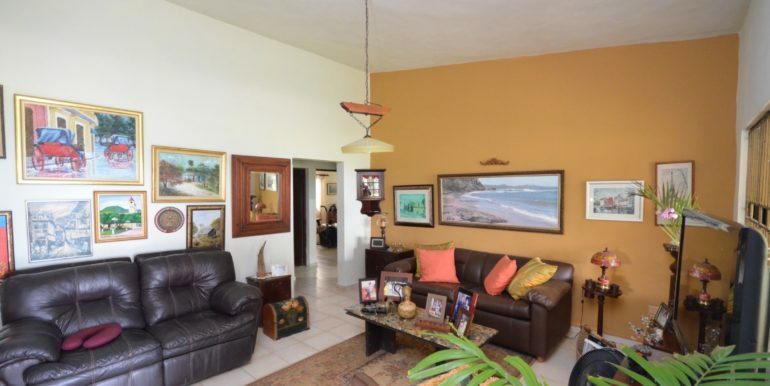 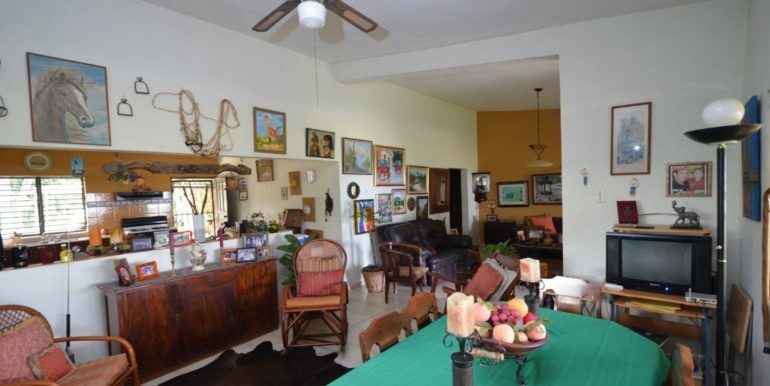 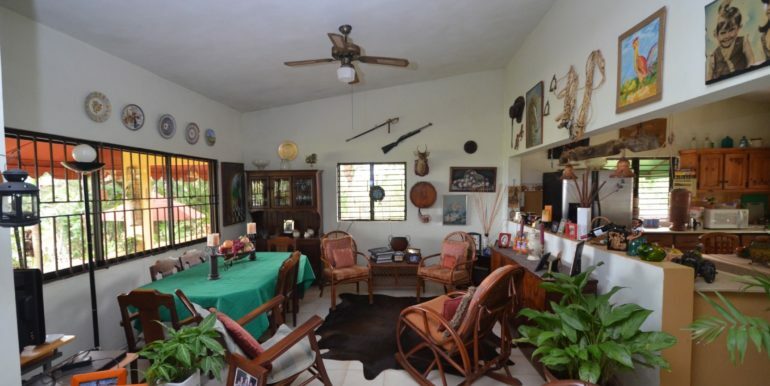 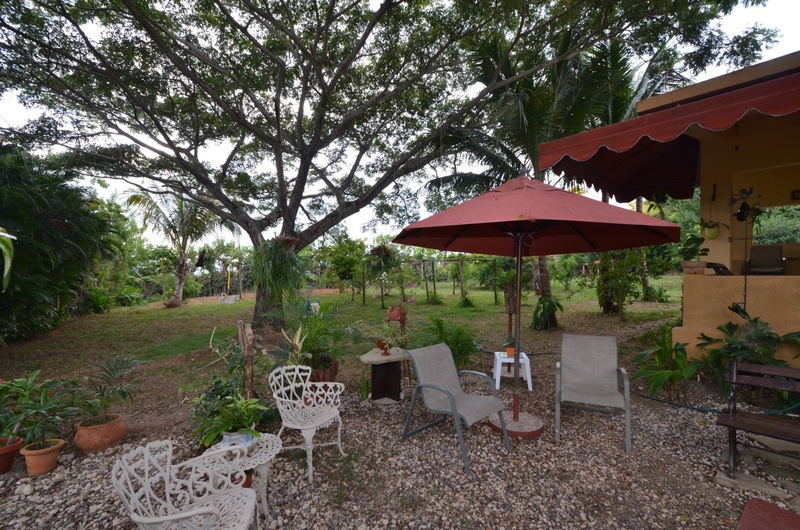 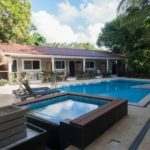 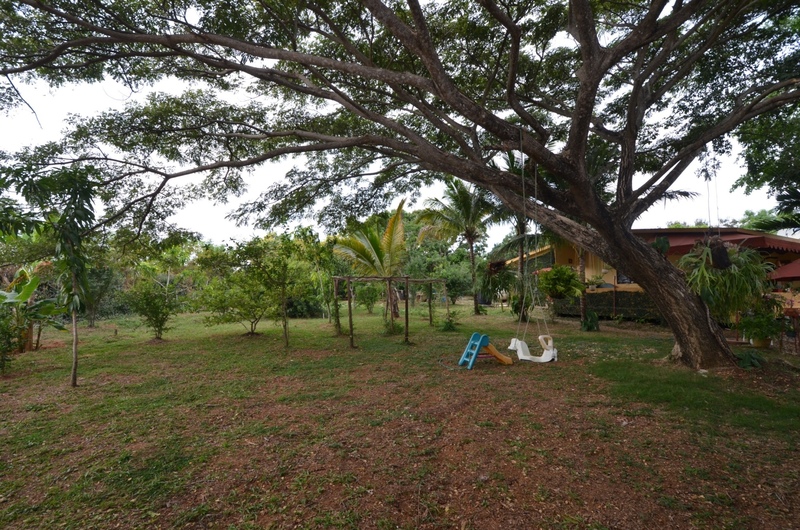 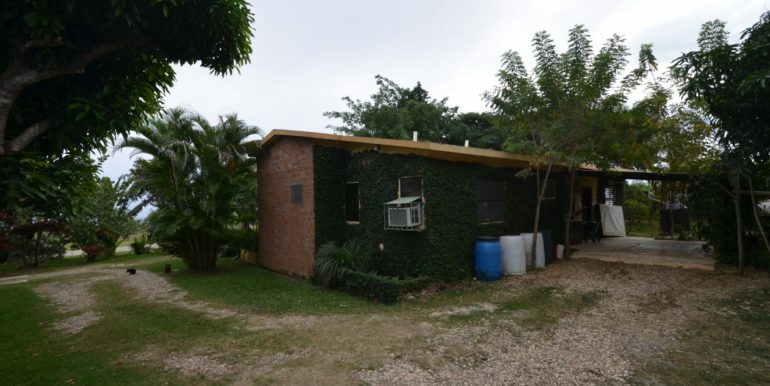 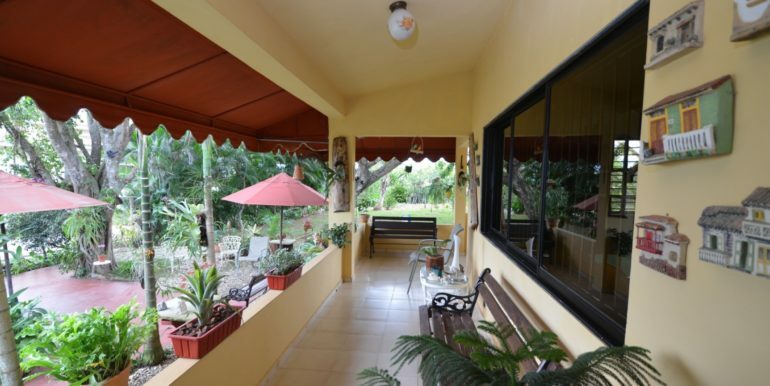 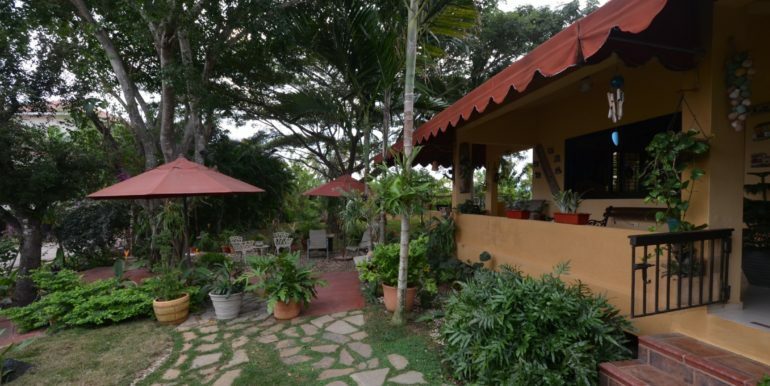 Built on a high land that overlooks the ocean on the horizon, it totally speaks of countryside, or pure DR campo living. 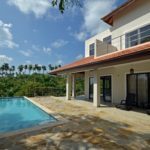 The one story construction keeps a simple, functional layout with a porch, ample living room and separate areas for the generous kitchen and bedrooms. 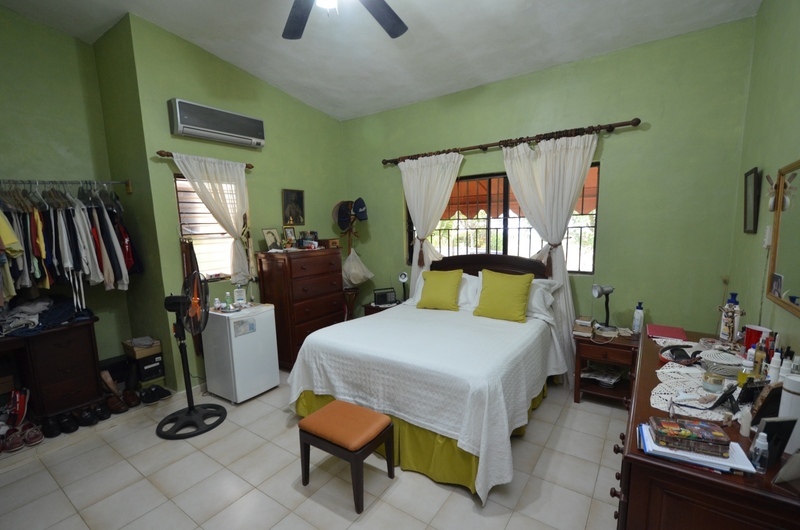 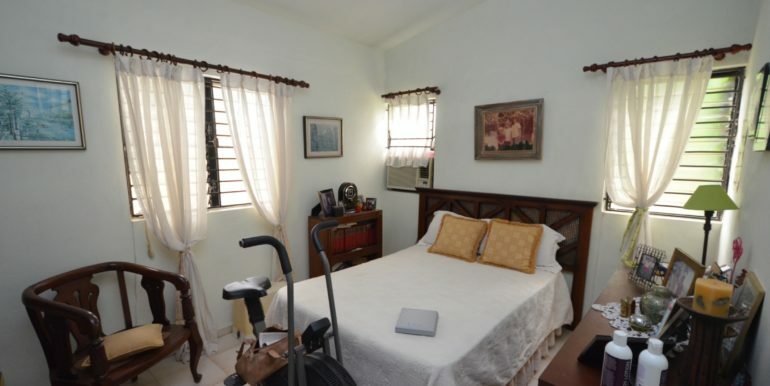 The main suite has good size to fit a large bed, includes A/C and ensuite bathroom. 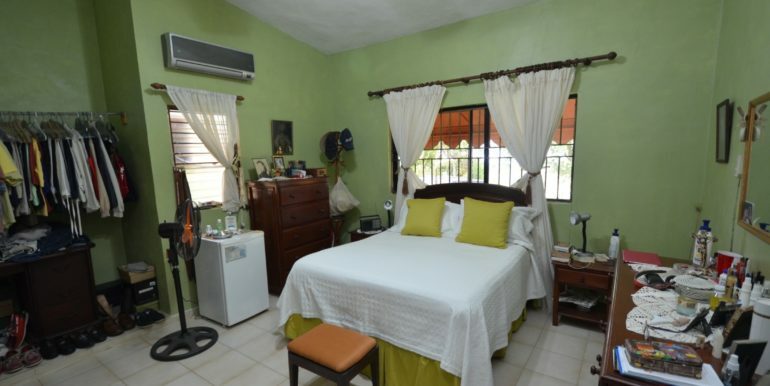 The other two guest suites are just a bit smaller in size, good enough for kids and family. 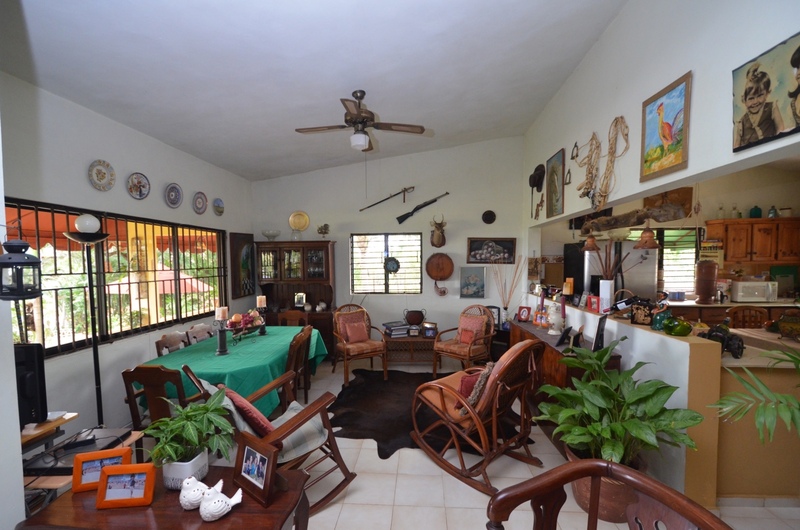 The main interior area of the house is large enough to accommodate a dining area, family area and lounge, as seen in the photos. 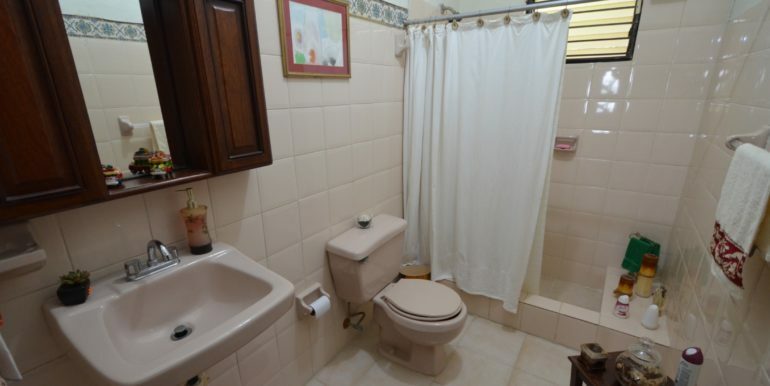 The two bathrooms are spacious enough, even to roll a wheelchair for people with disability or seniors using walkers. 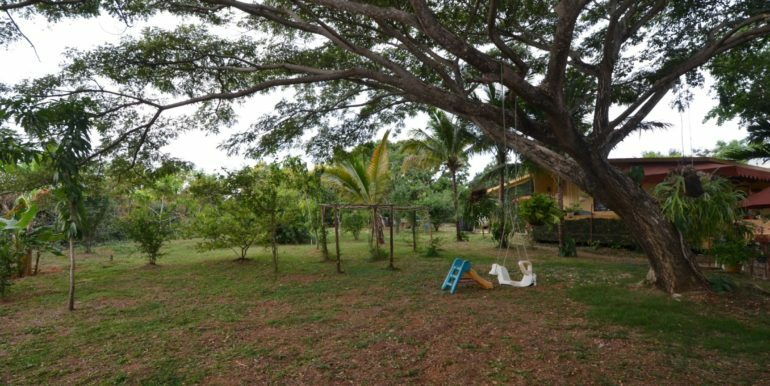 Outside, there is enough patio and garden areas to grow many kinds of fruit trees, and the property already has mature trees of diverse kind. 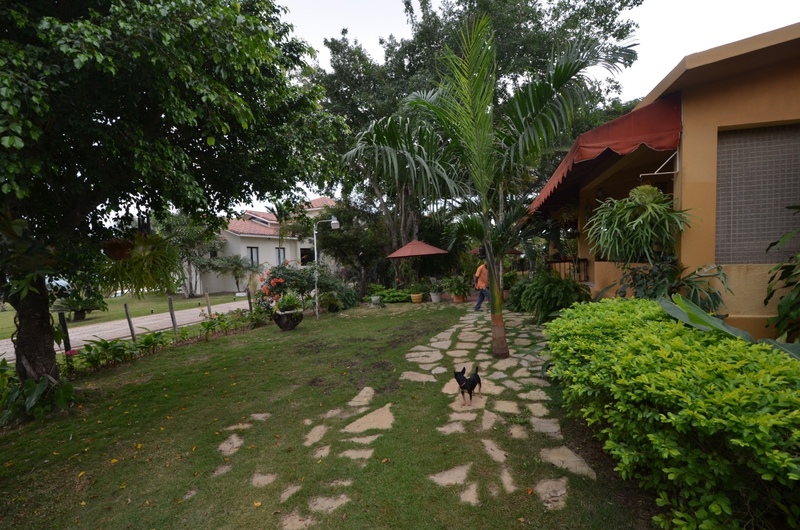 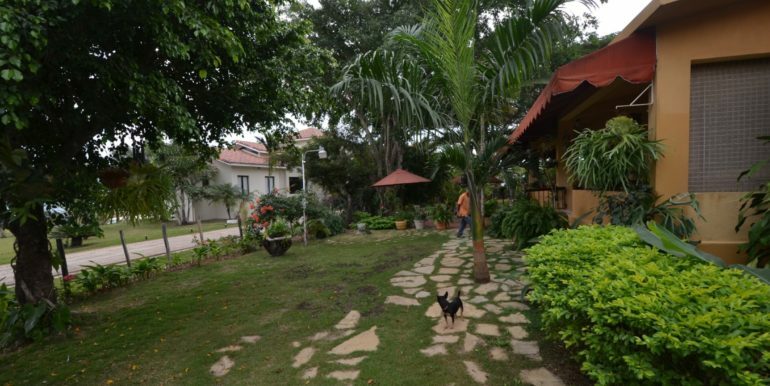 It has few neighbors, just a large luxury house in close proximity. 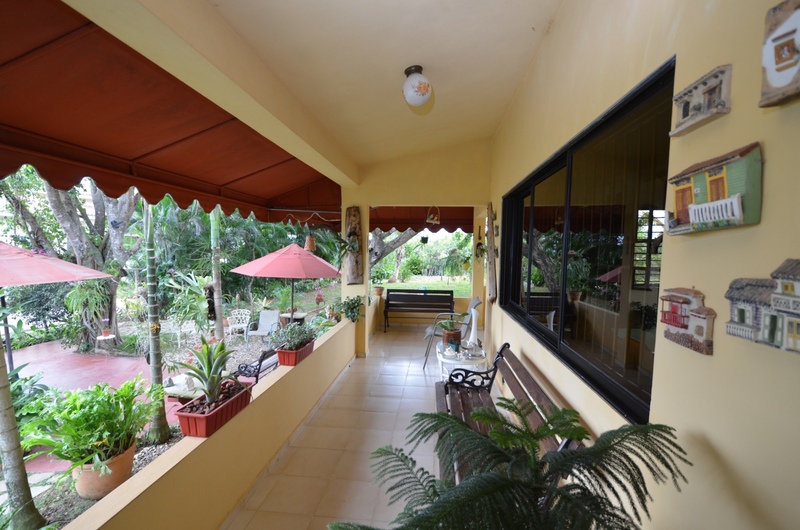 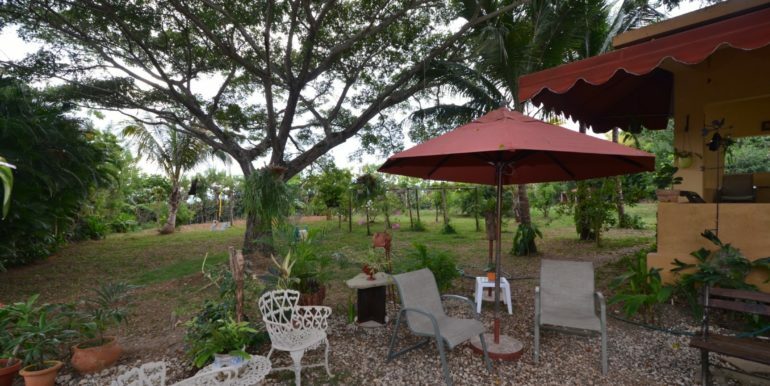 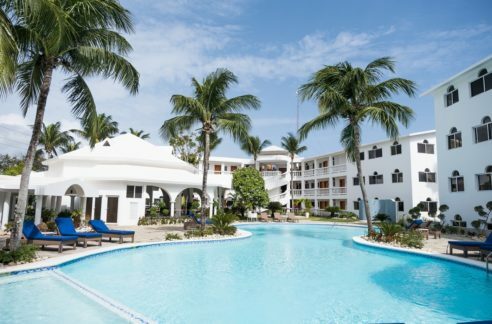 All else is the sound of birds and the cool breeze of Puerto Plata`s high lands. 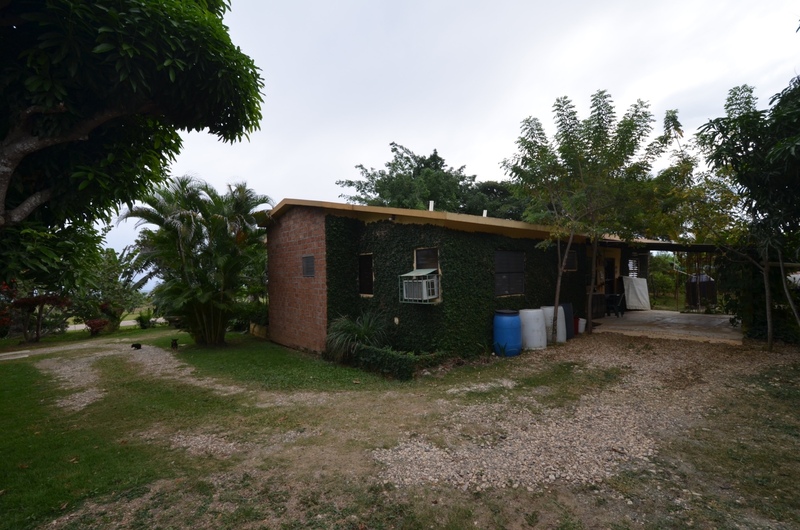 The property land size is 2400m²= 25833.38ft² and the construction size is 155m²= 1668.406ft². 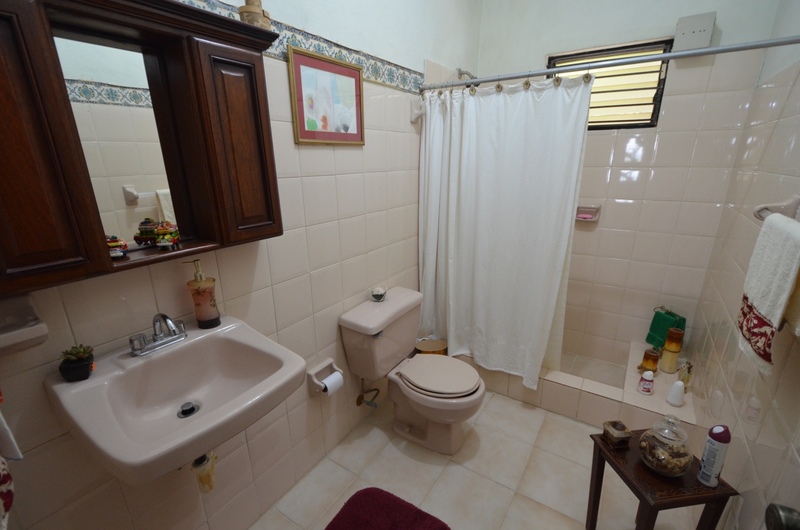 It has a cistern, staff house, electric gate, and alarm.